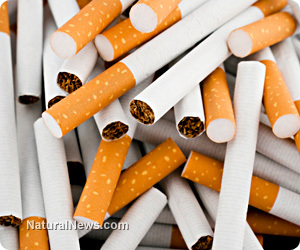 (NaturalNews) Did you know that one half of all the smokers in the world want to quit right now but don’t know how? What’s worse is that 95 percent of smokers who quit smoking without some form of help will return to the cancer-causing habit within six months. These are dismal statistics, and there is more than one good reason for the massive failure of programs to help smokers quit and stay smoke-free for life. 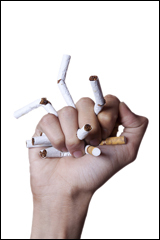 Let’s delve into the pros and cons of all stop smoking choices, including acupuncture, hypnosis, “cold turkey,” e-cigs or electronic cigarettes, Chantix and Zyban medications, scare tactics like commercials, problems with the patch and nicotine gum, lack of nutrition advice, and finally organic tobacco as a means of weaning off nicotine. Cold turkey, also known as the method of quitting without weaning one’s self off of nicotine and the “rituals” involved with smoking, has an astonishing low percentage of success. Most people who quit cold turkey and really pull it off do so because of a recent critical, real life health scare, like discovering a tumor or losing a family member to lung cancer. Nicotine gum delivers between three and four milligrams of nicotine, again, nothing like a cigarette. No wonder these alternative methods of cessation fail so miserably. Take a guess who is selling the pills, patch and gum? Hint: Big Pharma. It’s a vicious cycle that sends smokers right back to square one. 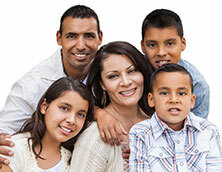 The comprehensive plan of 14AndOut, a one-hour instructional video which comes with a nutritional guide, addresses chemical knowledge and the addiction, then covers behavior modification, such as breathing techniques, hand to mouth habits, and environment changes, and finally helps the smoker stay away from cancer sticks forever with what the program calls the “yellow brick road” of nutrition. Also, organic tobacco is just one of the keys to 14AndOut’s success. The program recommends smokers turn away completely from commercial cigarettes immediately upon finishing the 60-minute video presentation, and buy organic tobacco and “roll your own” organic cigarettes, up to three per day, for the remaining two weeks. This removes the 4,000 chemicals from the smoking “equation” and allows for some weaning, by removing the shock of the 14 “cold turkey” days, hence the name 14AndOut. The breathing ritual should not end for smokers! Face it, if you smoke a pack a day, you are engaged in a breathing pattern about 250 times a day that helps you relax. Pretend like you have a cigarette between your fingers and take a nice long fresh inhale, hold for a second or two, and exhale. Do this every time you would have puffed a cigarette, and continue to enjoy your breathing ritual, forever without chemicals. 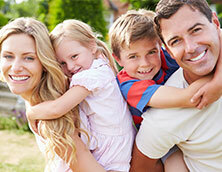 The hand to mouth habit should continue also for you, except without chemicals. Again, if you smokea pack a day, you are engaged in a hand to mouth motion 250 times a day, and if you smoke two packs a day, that’s 500 times. Go buy some organic raw nuts, some organic dark chocolate, some organic celery and organic carrots, and some real spring water, and keep that hand to mouth habit going, every time you would have taken a puff.